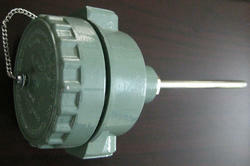 We are engaged in offering a wide range of Field Mounted Temperature Sensor in the market. These sensors convert a temperature change into mechanical displacement. In addition to this, made available in several specifications and owning to high performance, accurate results and reasonable price, its demand is quite high. 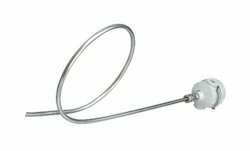 To meet the precise requirements of customers, we are offering an exclusive range of Temperature Sensor. Insulation Resistance or Isolation: 500 Vdc: = 100 M, 500 Vac: = 5 mA leakage current (mV and mA versions only). Matching up with the requirements of our clients, we are involved in offering Boiler Temperature Sensor.